A garden is so much more than just grass, flowers and the trees. In a garden, tradition, knowledge, personal experience and individual style come to life. With a small amount of dedication and smart beautiful furniture, your garden can become your own personal haven which you can share with friends and family. This furniture range has been produced for daily use, however, Royal Garden furniture is so much more than that. Our furniture represents the gardening traditions and its strong awareness of style gives you a piece that is timeless and elegant for an age. Special comfort and our highest demands for quality drive our design and construction for our sets. High-quality materials come together with traditional craftsmanship and modern manufacturing techniques, to create truly unique pieces of furniture. Royal Garden will never rest on its laurels, we continuously strive to set new standards for quality whilst also leading in innovative designs. It is this dedication to only using the best materials and designs that make us able to guarantee the durability of our products. Choosing Royal Garden is not simply a choice of owning exquisite garden furniture. By choosing Royal Garden furniture it is a signal and sign of dedication to creating the perfect outdoor lifestyle for you and family. First established in Germany in 1992 Royal Garden® has ever since been the benchmark for premium quality steel furniture. Together with its sister brand MWH, Royal Garden was a part of the Heinz Kettler Group, until 2010 it was distributed throughout the UK by Kettler GB. Such was the impact of the original designs of Royal Garden that until this day iconic pieces such as the Elegance, Savoy and Carlo chairs have served as inspiration for many outdoor furniture collections worldwide. Since 2011 both brands, MWH and Royal Garden, are part of Yotrio Group Co Ltd, one of the world’s largest outdoor manufacturers. Yotrio is a leading innovator in the use of modern manufacturing techniques and is the driving force behind the Royal Garden and MWH brands. Our production methods meet the highest standards - in matters of quality and sustainability. Our special THERMOSINT coating is eight times stronger than conventional powder coatings and protects steel from corrosion and damage. 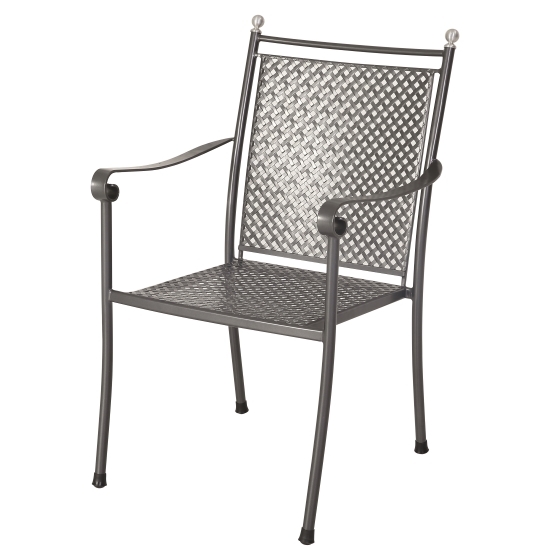 Royal Garden furniture is correspondingly low-maintenance and weatherproof. And we vouch for this with a 5-year warranty against rusting of the base metal. Check each individual product page for more info on its specific guarantee and warranty.